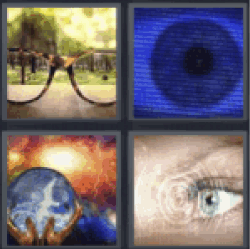 4 Pics 1 Word Glasses eye. Silhouette blue eye. Globe. Green eye.